Manchester and Leeds-based Northcoders – the coding bootcamp for the North – has added seven new members of staff to its teaching, talent and partnerships, marketing, mentoring and finance teams. The new tutors are: Tom Simmons, Vel Georgieva and Alex Cox. All three are qualified coders and will be responsible for delivering Northcoders’ curriculum, mentoring students on a group and one-to-one basis, as well as researching and staying abreast of industry news, technology trends and changes in tech. Aaron Ward has joined Northcoders as its new talent and partnerships manager. He is an experienced IT recruitment specialist who has worked solely within the .Net software development arena across the North West of England for the past seven years. He joins from onezeero. Maddison Griffiths is the firm’s new onboarding mentor and will be helping people to get onto Northcoders’ full-time and pre-courses. He studied Media, Culture and Communications at Liverpool John Moore’s University and has previously worked at National Savings and Investments. 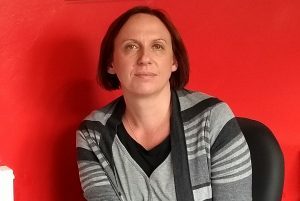 Helen Batra-Squires has been appointed as a designer and will be working closely with the marketing team on all aspects of Northcoders’ external and internal communications. Helen originally studied graphic design in London before setting up boutique agency Hels Bells Design, alongside running a greeting cards publishing company and wedding stationery design business. The final new starter is finance manager Charlotte Prior. Charlotte will be working with the senior leadership team on the financial management of the business. She has previously worked at Turning Point and Buildzone UK and is currently studying towards her chartership with the Chartered Institute of Management Accountants. Vel Georgieva said of her new role: “Northcoders is a fantastic organisation and I am now delighted to be part of it. “It offers an in-depth approach to learning that is not just based on how to simply code, but how the code works under the surface. Over the past few months Northcoders has opened a new campus in Leeds, was selected as one of the country’s brightest tech stars in Creative England’s CE50 list, and was named Business of the Year at the 15th Annual Chamber Business Awards. 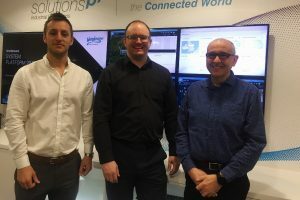 Cheadle-based SolutionsPT has made three key appointments to drive strategic decision-making and innovation in the delivery of its industrial IT solutions. Former system architect manager Dave Baskett has been promoted to the role of technical strategy manager. He will provide strategic technical insight and direction to influence the application of existing and emerging technologies in the industrial marketplace. A member of the SolutionsPT team for almost eight years, Dave has worked across all areas of the business and will bring both his technical and management expertise to the role. They are Deon Van Aardt, who has relocated across the globe after a 22-year career with Wonderware South Africa to join SolutionsPT – a move, he says, prompted by his wife’s love of the BBC show Escape to the Country. Deon has vast experience from working across Wonderware SA in technical support and training. His broad technical and management expertise within the company encompassed solution architecting and project support. He was also responsible for technical content and presentations at events – a role he will continue with SolutionsPT. 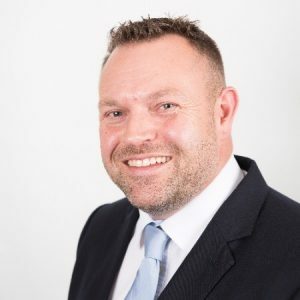 Michael Forshaw also joins the team from a UK-based global IT company and will bring 15 years of IT experience to his new post. Waste management company Cleansing Service Group (CSG) has appointed Jen Cartmell as treatment director, strengthening the board with her wealth of industry expertise. The 42-year-old, from Rossendale, has worked for the company since 2006 and will continue in her day-to-day role managing operations at CSG’s sites across the North of England, inclulding Cadishead and Liverpool. Neil Richards, managing director, said: “The success of CSG is built on a people-focused culture and business growth through diversity, and Jen is an excellent example of this philosophy in action. CSG specialises in collecting industrial and domestic waste and recovering as much of the re-usable raw materials as possible, reducing the depletion of valuable natural resources and minimising the volume of waste sent to landfill. After achieving a degree in environmental chemistry from the University of Leeds, Jen took up the post of site chemist at a landfill site before joining CSG as a senior chemist. She said: “I am honoured to join the board of CSG and look forward to contributing to the ongoing success and growth of the group. One of the largest privately-owned industrial and domestic environmental waste management groups in Britain, operating from 27 sites across the UK, CSG was founded as a one-man sewage collection business in rural Hampshire almost 85 years ago and now employs a national workforce of nearly 500 people. Full service law firm JMW Solicitors has appointed a new head of banking, Scott Cameron. He joins JMW from the Moscow office of Freshfields Bruckhaus Deringer, where he worked for four years. Prior to that Scott was a partner at Norton Rose Fulbright in Australia and Russia. He works across all areas of transactional banking and private M&A, and joins the corporate and commercial team at JMW. The Legal 500 Asia Pacific has previously reported that Scott is “a very sound technician and client-focused” and he has led a deal named “Deal of the Year” by Trade Finance magazine. He said: “I am delighted to join the corporate and commercial team at JMW. The firm has a very strong reputation and has great ambition, which is just the type of firm I wanted to be a part of when I decided to work in the UK. JMW senior partner, Joy Kingsley, said: “We are very pleased that Scott has decided to join us as our head of banking, especially as he has made the move from Moscow. St Helens-based construction (design and management) safety specialists Safer Sphere has appointed a new associate director to head up a new Southern regional office in Reading, as part of the business’s expansion plans. Richard Procter, formerly of Capita and Carilion, will assist the business with its expansion plans in the Southern region and will be taking over numerous projects already secured in the area. Richard has a wealth of experience in construction health and safety having worked on projects such as Heathrow Airport and Southmead Hospital PFI, with a project value of £430m. Richard said: “I am really excited to be joining Safer Sphere this year and to be heading up the Southern region. Managing director Mike Forsyth said: “We are delighted to have Richard on board with us. He is an excellent fit for our business and brings with him the knowledge, experience and the skill-set to help us achieve our growth plans, building on our current appointments in the South.